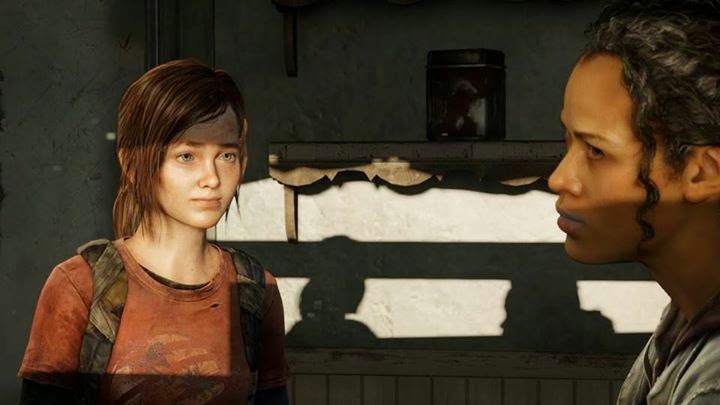 Final Thoughts: As much as the Zombie-Type genre has been overloaded, The Last of Us is one of those entries that breaths a new fresh breath into the genre. It’s one that offers an emotional trek, across the United States, with Joel and his foul-mouthed, joke-filled partner, Ellie. In their adventure, players will get to revisit, once seemingly, lush environments, but this time they are more believable than before. With no zoom in resolution changes or pixilation and higher particle density, the world is much more alive, and much more realistic than before. This isn’t just a mere-remake, but a pure re-imagining, but with the original fully intact. No changes were made, except under the games hood itself. For those wanting multiplayer, they are not left behind at all, the game features all previously released content. When saying this is the campaign portion, you’d expect this to be about the story, but instead, many of you have possibly played the original and know what’s going on. Some of you have not, but the problem is: spoilers. That is one thing that makes discussing the campaign difficult, but at the same time, keeps the game fresh as possible. This portion will instead be about the performance changes, the enhancements that have been made, but also some of the things that still need fixed from the predecessor. The Last of Us as we know changed the way the Zombie-genre could be seen. The game implied limited ammo, difficult enemies, puzzles, slow-paced moments that made the heart pound inside your chest, and ‘abilities’ that Joel and Ellie possessed to make them unique. This time around, we are given the idea that the game itself has been enhanced, and it has. When playing the title during intense action scenes, the frame rate was smooth, not that thirty frames a second smooth, but the sixty frames per second kind, which made combat much easier to go through. Aiming guns seemed precise, and not delayed due to the limitations the hardware gave it. This was a problem in the original since players would have to be concerned about a frame rate drop, and possibly miss their shot, only to suffer the consequences. With the Remastered Edition, this is something that has yet to be experienced, even with the sequences sometimes being filled with enemies, particle effects, and animations that would, otherwise, have slowed the PS3 to a crawl versus the PS4’s powerhouse, that backs it. For many of you, you may recall the spore filled hallways, water-filled tunnels, and the lighting effects that took place to give the game that realistic feel to it. Guess what? That’s been enhanced too now. Thanks to Naughty Dog, we are able to see something a bit more interesting when exploring the vast lands, of the United States, during Ellie and Joel’s travels. Many will be able to point out the fact that in one of the starting scenes, Joel and Tess are exploring the outer city limits, which have been blocked off by the remaining government based forces. When having explored the area. I was capable of seeing the world, as if I’d never seen it before. It wasn’t that watered down and layer-mapped area that sometimes had flickering leaves and water animations, instead it was if I had seen the world Naughty Dog created for the first time. Water moved, with Joel’s steps, the grass seemingly pushed down beneath his feet, and even the snow, in some of the later stages, left foot prints for enemies and me to track. This was what began to make the game a bit more unique than before. One of the levels players explore, a building is collapsing and they have to make their way through it, but with the infected, this was a challenge. In this stage, I got to see one of the biggest advances, in graphics, in the game, thanks to the use of flashlights, Joel’s listening ability, and the random debris that floats within the air quite often. This was something I was not expecting, and highly applaud the team for. With all the changes having been made under the hood, players can truly expect the game to be astonished with many of the graphical upgrades, but also amazed that everything remained intact, in this transition. The game has not seen any changes from where hidden secrets were, how puzzles were performed, or anything. Players are seeing what I could consider a true HD remake of all the games content. Want a good reason to take the fight online between Hunters and Fireflies? In the multiplayer, players will choose a faction, unfortunately, from what has been experienced, factions can’t be changed immediately, but only after completing a “12 weeks” type situation within the multiplayer itself. These weeks can be completed through the three game modes available: Survivors, Interrogation, and Supply Raid. Unfortunately, both Supply Raid and Survivors are team death match type modes, but survivors; being the one without respawns. Much like the campaign, the multiplayer features all the campaigns creatable items such as: bombs, first aid kits, smoke bombs, cocktails, shivs, and my personal favorite, melee weapon upgrades. All of these function in multiplayer just like they do in campaign. Each is brutal, powerful, and gives a heavy tactical advantage, depending on the play style. 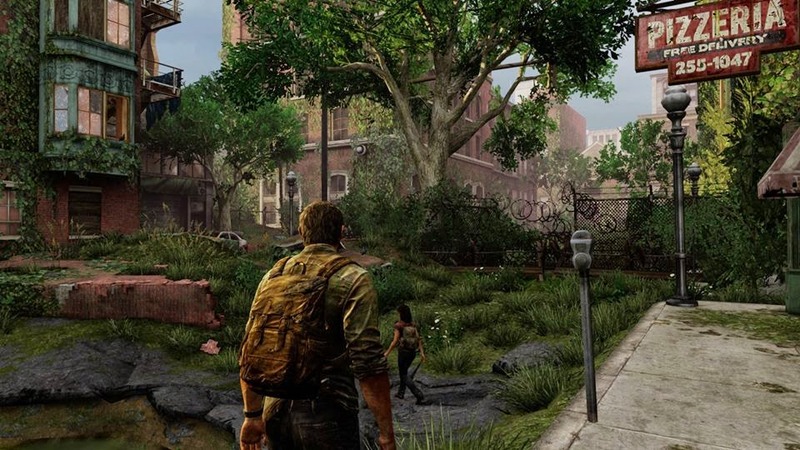 Like in most multiplayer titles, The Last of Us features a class building system, which allows players to choose weapons, feats, and “weaponry buys”, which they can access through kills and resources. These perks do get stronger, but cost more slots within your custom classes. These upgraded perks will give you an edge against your enemies. However, do note that it doesn’t change your chances for survival or even how powerful you are against them, which is based on pure talent, weapon chance, and teamwork. Thankfully the maps all play to each play style, and allow for players to enjoy the game how they want to, gladly setting up combat scenarios, no one player would expect For snipers, you may not be able to use your stamina to listen for them, as they may have a feat not allowing themselves to be spotted, you may not be able to even hear them at all for that matter when wanted, or needed. The only thing that may give them away might be the flare off their scope. The multiplayer does require a lot of teamwork, and coordination, in order to survive the requirements for a players “village”. Players will be required to meet certain requirements, in order to keep their survivors happy, and also take on special scenarios, via weapon kills, wins, losses, and or gatherings, in order to keep their survivor population up, in order to make it past the twelve weeks mark. This is something that makes getting a high population difficult as the attacks, raids, and such goes up, and also come in seemingly higher frequencies. Overall, The Last of Us Remastered is a true masterpiece and deserves to be recognized as a host, to the once upon a time, Game of the Year title, which earned more than two hundred Game of the Year Awards. This one sets itself up there, if not higher, on the expectations players have. 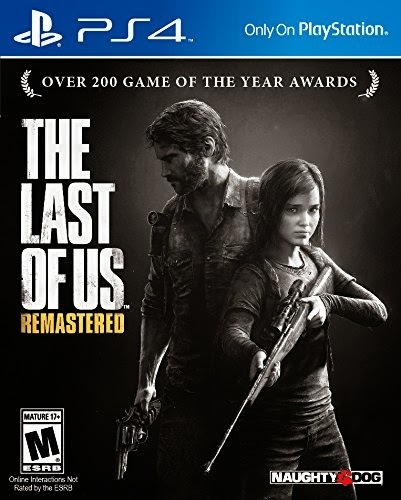 For those wanting to experience it, The Last of Us Remastered is now available physically at all major retailers and digitally through the PlayStation Store and requires approximately 50 GB’s of hard drive for both multiplayer and single player portions. For digital, memory requirements may vary based on what portions are downloaded.